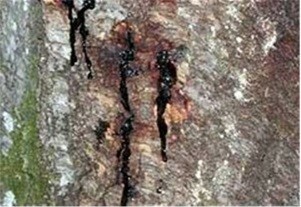 Transmission: The organism can be spread in soil and water. It can survive in moist conditions for at least one month. In USA it has been recovered from soil carried on hikers shoes. The fungi can reproduce rapidly on leaf surfaces, allowing rapid build-up of Phytophthora spores, which serve as a source of infection. 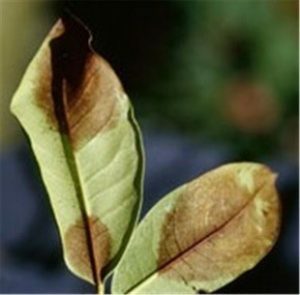 Favoured by: Phytophthora ramorum is a cool temperature organism, with optimum growth at 20° C. Infection of foliar tissue requires cool temperatures and free water. Host range: A disease primarily of oak trees (Quercus spp.). Secondary hosts, which are highly susceptible, include Acer, Azalea, Camellia, Rhododendron, Viburnum, Pieris, Syringa and Kalmia.